There’s something vintage and romantic about a castle wedding. Whether you’ve always dreamed of being rescued by your knight in shining armor and carried off into the sunset, or you and your role-playing partner want a dungeons-and-dragons themed wedding, there’s something very alluring about a grand, historic castle wedding venues. And while many brides want to be treated like princesses on their special day, you don’t have to be royalty to have your fairy tale wedding straight out of a story book. 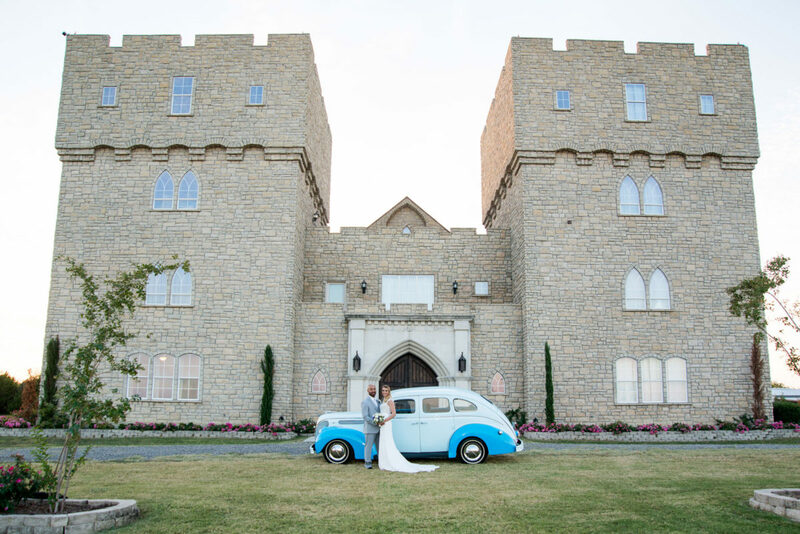 Better yet, there are many great castle wedding venues right here in the U.S., so there’s no need for expensive international travel for a destination wedding at an English or Irish castle. Castles are among the most unique wedding venues. Whether you seek a traditional wedding or a modern wedding, here are some pointers on how to find and book your castle wedding venue. There aren’t many castle wedding venues in the USA. About half of castle wedding venues are on the east coast, with about half of those in New York state, while the rest are scattered throughout the country. If you can find one or more venues near you that fit your wedding vision, great! If not, are there any castle venues within a 3-4 hour drive? Outside of that range is really a destination wedding, so plan accordingly. A couple’s venue is their castle. Because the United States has never been a monarchy, there are no actual royal homes here and no “castles,” strictly speaking. 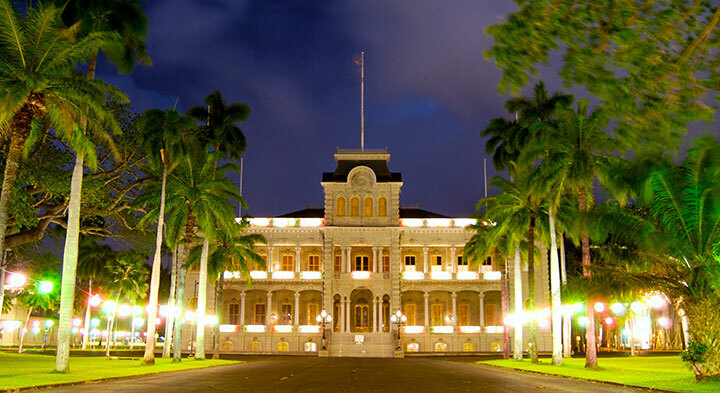 The one exception is the royal Iolani Palace in Hawaii, built when it was ruled by a king. In other words, you’re not limited by the definition … if your wedding feels royal and your wedding venue feels like a castle, then it’s a castle! 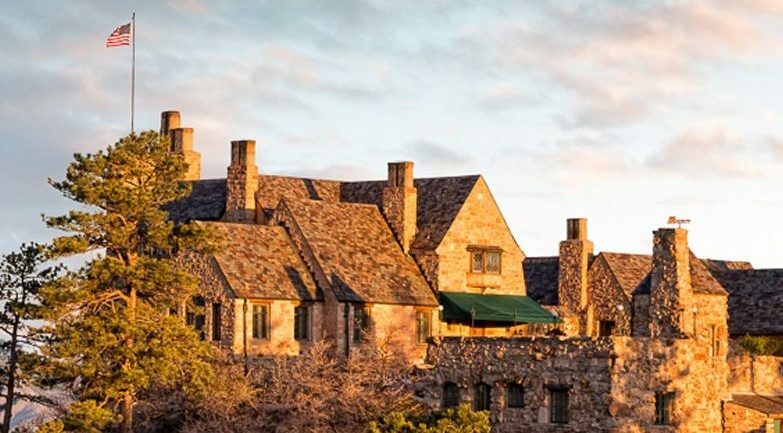 For instance, Cherokee Ranch in Colorado doesn’t have the classic castle appearance – but it’s beautiful and many brides describe the venue as a castle. 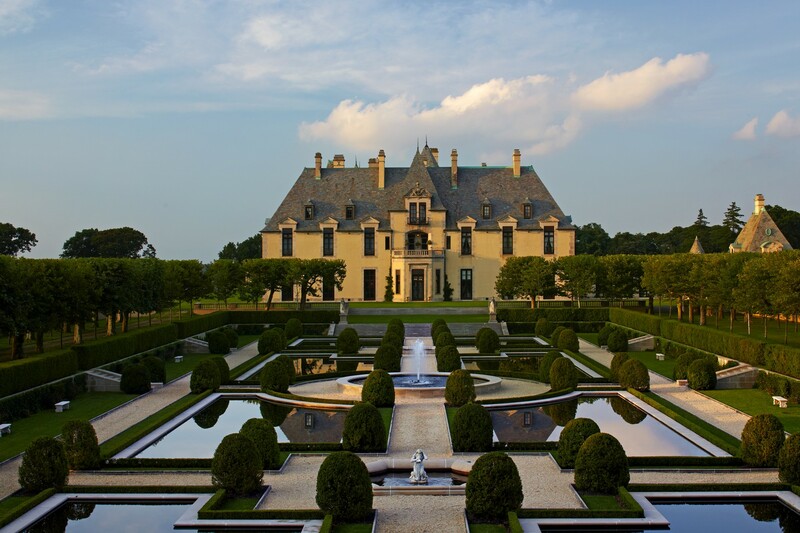 Also, the Oheka Castle in New York doesn’t look anything like a medieval Irish castle, but it’s grand and full of history, so there’s nothing stopping you from having your happily-ever-after castle wedding here. Consider the ceremony and reception options. Some buildings are privately owned, while others are parks or museums owned by the state. This results in very different options and wedding packages. 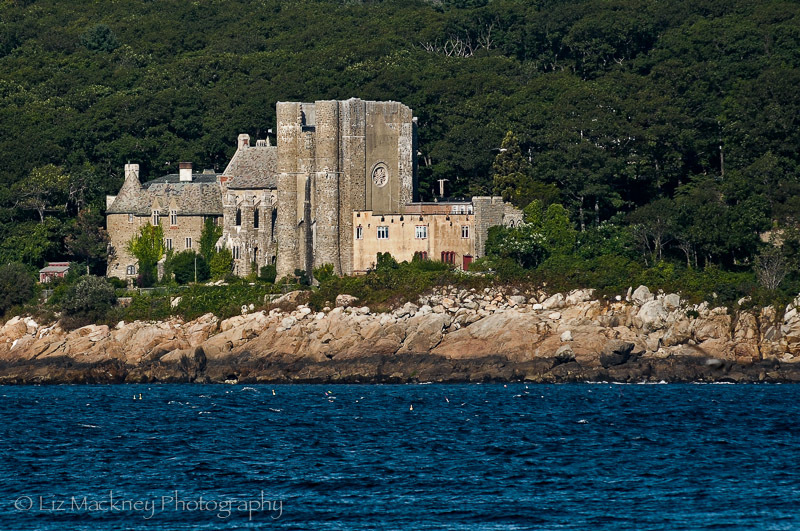 For example, Hammond Castle in Massachusetts is probably one of the most fascinating, grand, and castle-esque buildings on this list. However, it’s also a museum that closes at 4pm, which means that the entire wedding and reception, including decoration and cleanup, must be done between 4:30 and 11:30pm. Some venues don’t offer reception sites at all. 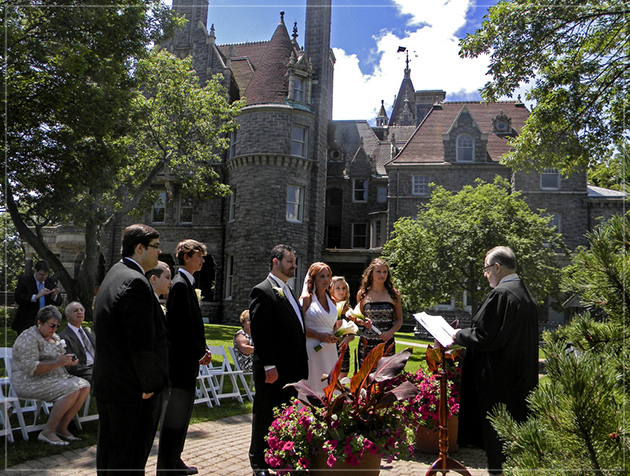 For example, the amazing Gillette Castle in Connecticut is in a public park and rentals are limited to a one-hour outdoor ceremony. On the flip side, there are also many castle wedding venues that offer full-day rentals that include both ceremony and reception locations. Some even offer all inclusive wedding packages that make your wedding planning that much easier. Do you have a preference? If you want an outdoor ceremony, make sure the venue has a Plan-B option for rain. You’ll also need to consider the time of year and whether your guests will be too hot or cold. If you want an indoor ceremony, does the venue offer a picturesque chapel or ceremony room? Also, since most wedding receptions are indoors, is the building’s interior just as stunning as its exterior? This is the Grand Reception Hall at the Agora Grand Event Center in Maine. There are a few gems that cost less than $1000, although these may have strict limitations. 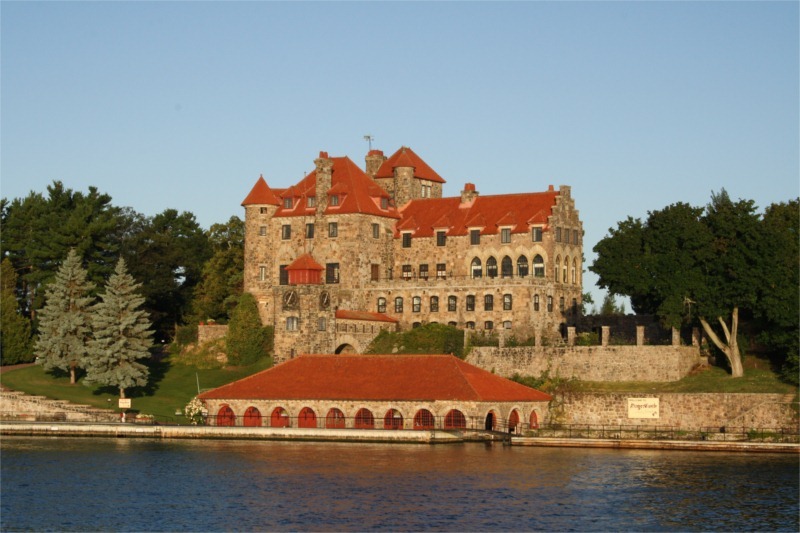 For instance, Boldt Castle in New York is truly stunning and the ceremony will only set you back $200. However, it’s located in a public park with no reception facilities, and you’re only allotted about an hour for your entire ceremony, including decorating. There are also some phenomenal castle venue with stratospheric price tags. The very famous Biltmore Estate in North Carolina speaks for itself, but weddings there start start around $50,000. The vast majority of castle wedding venues charge between $3,000 and $12,000 for their rental fees, but of course the rental fees include different amenities at different venues. At some venues, the fee covers basic 5-hour rental only, while other venues include all-day rental, ceremony and reception locations, lodging, tables and chairs, sound and lighting, and so forth. Do you prefer a modern building with all the latest technology that simply looks like a castle, or do you also want the building to be vintage and rich with authentic history? For instance, the Castle at Rockwall in Texas is a truly awesome property that epitomizes the word “castle.” Designed with weddings in mind, it includes an on-site chapel and an all-day rental for the very reasonable price of $7,000. However, if you’re looking for history, look elsewhere, as it was built in 2014. 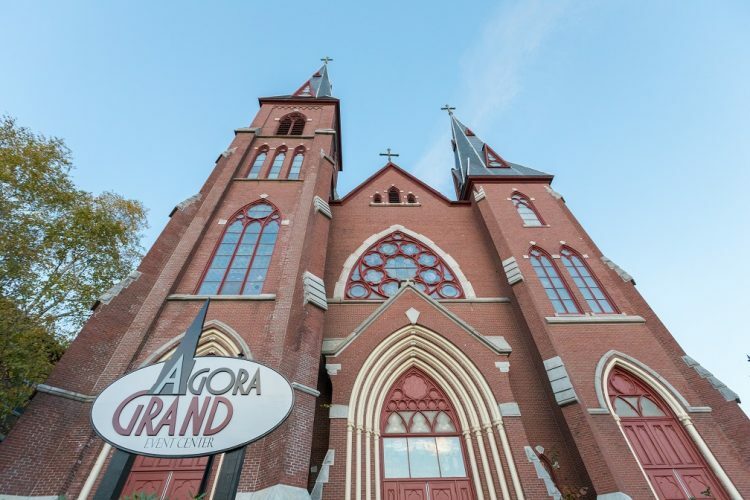 On the other hand, the Agora Grand Wedding Castle in Maine was created from a 19th-century Neogothic Catholic church. Not only is it picturesque, it is full of fascinating history. For example, it contains a crypt where the original priest remained from his passing in 1907 until 2009, when his body was exhumed. Forget pricing — Take a tour! Except for the handful of ultra-luxury venues, most castle wedding venues will fit within the average $30,000-$40,000 wedding budget, with some costing a little more and some a little less. Before getting too caught up in price, make a list of your five favorite venues and go check them out. This is important for many reasons. First, you’ll need to experience them first hand to see which ones fit your wedding vision. You might find some of them too kitschy, some too inconvenient, and some too restrictive. Meanwhile, you’ll also find some that feel just right. Second, it’s difficult to determine exactly what your wedding will cost at each venue until you’ve toured the property, talked to the managers, and gotten a formal quote. For instance, Singer Castle in New York is extraordinary. However, it’s located on an island and the ceremony and reception must be done outdoors. That means you could end up spending $4000+ for a charter boat for your guests, not to mention untold expenses to rent a tent, tables, chairs, dance floor, and so forth. Finally, you’ll want to make sure you feel comfortable with the people at the venue. After all, you’re establishing a relationship with them and trusting them with your special day! We wish you the best of luck in finding your dream wedding castle for your fairytale wedding! For outrageous ways to get married, check out the 10 Most Adventurous Ways to Get Married. Also check out our blog post on ideas on making your wedding truly unique and personal. Finally, for a honeymoon that is just as exciting and unique as your wedding, here are America’s most incredible honeymoon suites and honeymoon ideas.